According to IHS Research, the new IE4 motors have rapidly carved out a space in the high efficiency motor market. While the majority of the world continues to transition to higher efficiency IE2, IE3 and NEMA Premium low-voltage (LV) motors, IE4 motors marketed to the industrial machinery market as “Super Premium Efficiency” motors have rapidly been accepted where the highest efficiency is important. IHS consider that since 2009, this market has posted consecutive, double-digit growth rates and almost quadrupled in value in 2013 to reach $114.7 million with nearly 259,000 units shipped. Although a relatively small market compared to the entire global integral horsepower industrial LV motor market, this niche market for high efficiency motors is predicted to grow robustly to $297.3 million by 2018. IHS believes that growth in this LV motor market segment has been ignited by regional legislation for stand-alone LV motors, soon-to-be implemented systems efficiency legislation governing the efficiency of the motor driven system, and the general, increased focus in industrial segments on achieving the highest possible efficiencies. ABB has launched a Synchronous Reluctance Motor (SynRM) and VSD package, which offers IE4 energy efficiency with accurate process control. Synchronous reluctance motors combine the energy saving benefits of permanent magnet technology with the service-friendliness of an induction motor. The SynRM has no rotor windings, so there are virtually no power losses and the rotor temperature remains low, giving losses typically 40% below an induction motor. Lower temperatures also mean longer bearing life and longer re-greasing intervals, extending the maintenance interval. SynRM is lighter, less expensive and easier to repair than a permanent magnet motor – yet gives the same performance levels. The motor is available in two packages: (1) a motor which is the same physical size as a standard IE3 induction motor but operates at the higher IE4 efficiency levels; or (2) the “High Output” model, which is two frame sizes smaller for the same power and IE3 energy efficiency. 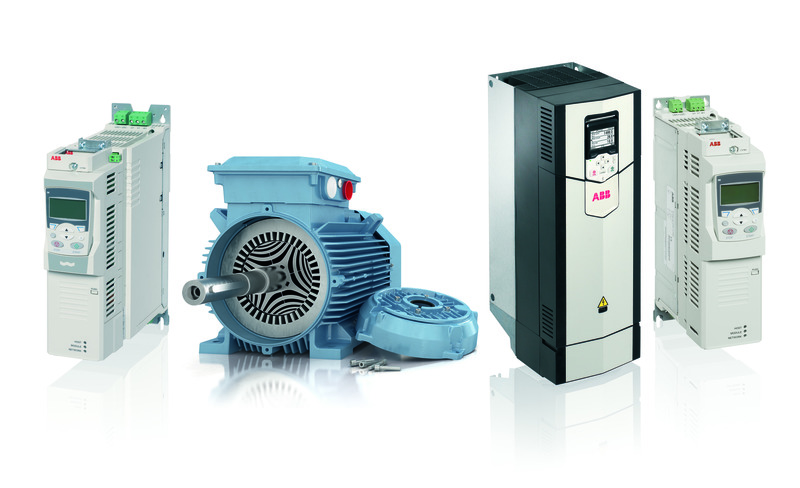 The VSDs used to control the ABB SynRM motors deliver direct torque control, for highly accurate motor torque and speed; safe torque-off, giving reliable isolation for maintenance; and advanced programming tools – for fine-tuning to meet specific process requirements.